In the midst of the extremely volatile cryptocurrency and blockchain industries, HashChain Technology’s (OTC:HSSHF)(CVE:KASH) deliberate strategy will allow it to be one of the survivors once the environment calms down, CEO and director Patrick Gray believes. A self-described tech entrepreneur who studied computer programming in college, Mr. Gray founded an e-discovery company while in school that put documents online for lawyers to review in complex litigation cases. It sold for $180 million two years later. He then founded sCube, an IT service company specializing in e-licensing, e-discovery, application development and IoT. sCube has grown to 120 employees and posted 66 per cent growth year-over-year with 50 per cent margins, working closely with clients including many city and state governments. During this period Mr. Gray also found the time to immerse himself in cryptocurrency and blockchain technology. Mr. Gray hired an executive management team to run his other businesses and dove deep into the blockchain, beginning by building miners in his garage. And he moved quickly. As HashChain Technology began to form, Mr. Gray met with the team from High Standard Capital, a funding partner that immediately saw his vision, Mr. Gray said. They are active partners, with managing director George Kveton serving as a HashChain director. HashChain Technology first listed on the TSX Venture Exchange on Dec. 15, 2017. Four days later the company announced a $26 million private placement deal with an underwriting group, and on Feb. 15 they acquired blockchain technology firm NODE40. That $8 million investment that quickly paid dividends. One of NODE40’s assets HashChain acquired was Balance, a SaaS product that tracks transactions by analyzing the blockchain to report capital gains and losses. Data can be uploaded from wallets and exchanges, and once the user authorizes that access they receive detailed summaries, with relevant information placed on a worksheet that can be shared with accountants during tax season. In the months following the NODE40 acquisition HashChain reported a 57 per cent increase in the number of users for its blockchain accounting and tax software. 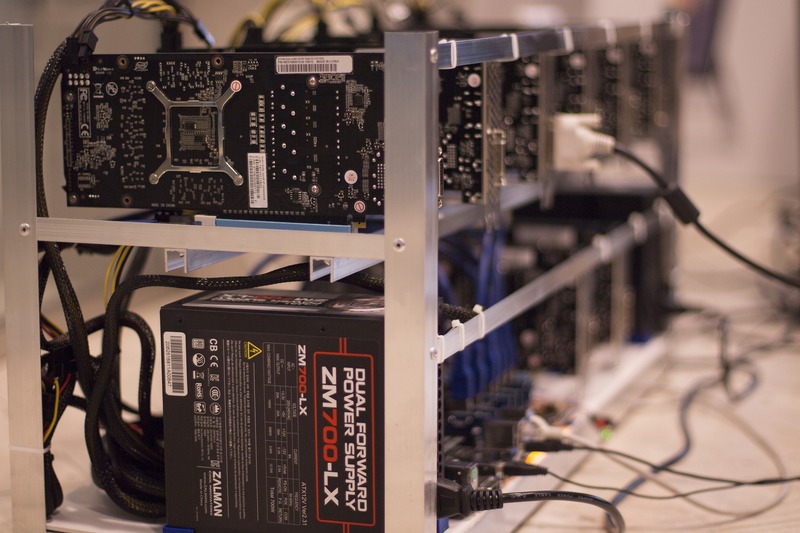 HashChain Technology has also been busy acquiring rigs to use in data centers based in Vancouver, Buffalo and Montana. As of July 18, they have 8,495 rigs in operation, with plans to get to 20,000 in the near future, Mr. Gray said. Sticking to a long-term vision in such a young and volatile industry takes discipline and work to help investors understand the principles on which HashChain’s vision is based. As sentiment rises and falls with prices, Mr. Gray and his team preach patience. Follow the news and assess its potential impacts. The Bitcoin ETF could cause Bitcoin to surge past $10,000 this fall and to $20,000 before 2019, Mr. Gray predicted. “Even at $10,000 our margins are very profitable,” he added. A strongly fluctuating market is one where it is hard to raise money, he added, so HashChain had to adjust. Run lean, which they were already doing, and believe in the longer-term plan. When that future is the present, the landscape could look much different, Mr. Gray said. Many companies won’t be around. Some are already selling rigs. One trait many failed companies are likely to share is a lack of diversification. That is a mistake HashChain Technology has been deliberate to avoid, Mr. Gray said. Mr. Gray explained HashChain Technology believed the IRS was going to quickly crack down on the cryptocurrency industry when they bought NODE40 five months ago . Now it looks like it may take a few more years. Add in a rapidly changing industry full of diverse opportunities and the decision has been made to spin NODE40 into a separate company. Two companies with differing timelines often appeal to two different sets of investors, he added, so cleanly separate the two and let each pursue their plans. HashChain shareholders will receive NODE40 stock when the separation is complete. Mr. Gray said the current blockchain environment is like the Internet was in 1993, when it was hard to accurately predict who would survive. Bet on HashChain Technology to be around for a few clear reasons, Mr. Gray advised. The first is the key executives actually have technology backgrounds. Not all company leaders do. Then there is the diversified strategy. HashChain is active in mining multiple cryptocurrencies and software, while also exploring creative ways to leverage the blockchain such as e-licensing. “Most are pursuing big markets, yet there are small, niche markets that are untapped and worth a lot of money, and no one’s going after them,” Mr. Gray said. And even if your blockchain and crypto strategy is solely cryptocurrencies, diversify still, as even Mr. Gray admits it is hard to know which currencies will be around in a decade (though the blockchain will be here 1,000 years from now he insists). And we’re not in the midst of a cryptocurrency bubble, Mr. Gray added. “Take a step back and look at it. All the money in the world is maybe $100 trillion, and cryptocurrency has a $200 billion market cap. If that grows to a $5 trillion market cap we’re talking five per cent of all the money out there. Another likely trait of successful companies is where they mine, Mr. Gray explained. In order to maximize profitability, companies must have a mining environment with cold weather, internet access and cheap electricity, which is why all of HashChain Technology’s facilities are in North America.